Belotero Balance is an injectable filler that is performed by dermatologist Dr. Phyllis J. Smith for patients in our Huntington New York office to treat very fine facial lines and smooth moderate-to-severe wrinkles on your face. Upon injection, it quickly and evenly integrates into your skin. How is Belotero Balance different from other wrinkle fillers? BELOTERO BALANCE is a hyaluronic acid injectable filler designed to integrate into facial skin tissue. The unique manufacturing process for BELOTERO BALANCE yields a soft and cohesive gel that, once injected, instantly fills the skin to help smooth moderate-to-severe etched-in lines and wrinkles. While the product is versatile enough to handle moderate nasolabial folds on the sides of your mouth, it may be an ideal option for treating delicate areas such as etched-in smile lines and vertical lip lines. What is BELOTERO BALANCE made of? BELOTERO BALANCE is made of a substance called hyaluronic acid (HA), a natural component of skin. HA binds to water, making it an ideal product for correcting wrinkles and folds, as it binds with the skin’s own water. The HA in BELOTERO BALANCE is specially formulated in a proprietary process to create a uniquely smooth and cohesive gel. This injectable gel blends into the natural structure of your skin, gently filling etched-in lines and wrinkles and creating a smooth, natural look and feel. BELOTERO BALANCE is FDA approved and clinically proven safe and effective. Hyaluronic acid products for wrinkle correction have been available for a long time and used in thousands of treatments. Just as wrinkles and folds vary from face to face, so does the amount of BELOTERO BALANCE needed per treatment. It’s very individual—it depends on the amount of correction desired, the number of areas to be treated, and other factors. Dr. Phyllis Smith can provide a better estimate once you have a consultation about your individual needs. How is the treatment performed? BELOTERO BALANCE is injected into the skin in a simple, quick treatment, performed by dermatologist Dr. Phyllis Smith, using a fine-gauge needle. You can either sit or recline during treatment and the aftercare is minimal. 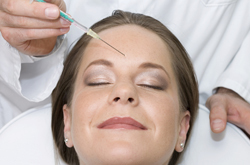 As with all injectable treatments, there can be discomfort associated with the procedure. If you have concerns, discuss them with your healthcare provider, because there are effective ways to manage this during treatment. Individual results may vary, but BELOTERO BALANCE may last about 6 months or more. Some factors that affect how long it lasts are the amount of product used and the area it is injected into. In areas that experience a lot of movement due to eating, talking, and smiling, the product may not last as long as other less active areas. There is very little to no downtime associated with a BELOTERO BALANCE treatment. In fact, most patients return to their normal, daily activities right after their visit. Every patient is unique, so be sure to discuss your plans during a consultation with your Dr. Smith. if you would like to find out if you might be a candidate for one of these procedures, schedule a consultation with Dr. Smith in our Huntington office. I consent to Huntington Dermatology and Cosmetic | Phyllis Smith, MD collecting my details through this form.